Some projects feel as if they were created without purpose or direction. They stumble along with no idea how to achieve their goals, because their goals never really existed in the first place. To my great disappointment, Depth Hunter is one such title. As a diving game (or is it a shooting game? ), it had a unique niche of the gaming world to explore; it sadly left it empty. 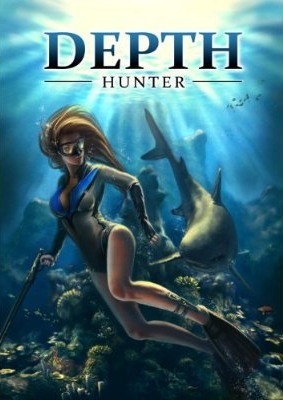 Depth Hunter touts itself as a "Spearfishing Simulator." This is sort-of true; you always have a spear gun with which you can shoot fish underwater, which you then attempt to haul in by managing the tension on the line. This is trivially easy if the fish is within about 8 meters and impossibly difficult outside of that. The problem is that there is no real reason to kill these fish. The game has a campaign mode of sorts, in which you are placed in the water and given tasks to complete. These tasks come one after another without context; you will be told to kill two fish of a certain species and then you will be told to kill as many fish as you can with a certain time frame. Sometimes, the tasks aren't fishing related at all. The player might have to find certain "treasure" objects on the sea floor or photograph a certain number of moray eels. The photography tasks are particularly bizarre; the player must find a correct angle that changes an on-screen number to 100% before the screen capture will count. All of these tasks take place over two of the game's three locales. In short, the campaign lacks direction, which makes it astoundingly uninteresting and painfully boring. 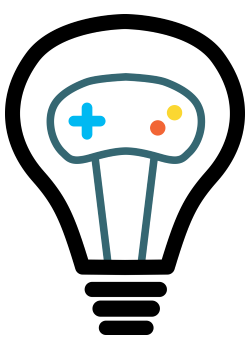 It injects arbitrary tasks into the player's exploration of the game world, seemingly because it is undecided as to whether it wants to be a linear, goal-oriented game or an open-ended, environmental-exploration driven game. It therefore does neither well, despite having ample opportunity to do something unique with either. By injecting a goal-oriented game mode, it suggests a narrative and character for the player. Indeed, the players boat sits on the surface of every level. I was profoundly disappointed that I could not get out of the water and into the boat. Aside from the potential as a fast-travel mechanism or a place to change your loadout like you would expect for a simulator, it would have allowed the game to create a real character motivation. The game could have, for example, given the player a back-story to motivate the tasks; that narrative could have uniquely explored any number of subjects, such as the economies of traditional fishing cultures, the impact of tourism, or even just a competitive sport-related theme. But the game does nothing, and the tasks appear pointlessly. One might note, however, that a narrative is not essential to a game. In a game-world, the environment itself might construct meaning and engagement. And it very well could have here. A fully realized ocean environment could provide more than enough content. It could act in an educational fashion, for example, elucidating the mysteries of reef environments or the perils that they currently face. Alternately, the game-world could simply create wonder in its audience with a truly beautiful, detailed, interactive world. Before beginning my playthrough, I hopefully recalled the under-appreciated Mini Ninjas (dev. IO Interactive, dirs. Jeremy Petreman & Henrik Hansen, 2009), a narrative action-adventure game that sometimes slows to encourage calm wonder at the beautiful, stylized environment as the player-character floats slowly on rivers while fishing. Such moments are not attempted by Depth Hunter. Depth Hunter is too poorly realized to pull off any of these things. The few types of fish in the world have even fewer behaviors. Big creatures (manta rays, sharks, moray eels) don't react at all; they swim in a fixed pattern or sit stationary. Small fish either swim back and forth or swim away if approached too close. It's good that they swim away if you get close, because the models and textures aren't particularly detailed or convincing. They are far better than the repetitive, plastic-looking ground textures, though, which are decorated by the same piece of coral thousands of times. The whole art design is just far too simplistic for the environment it tries to capture, so none of it works. Perhaps if it had attempted a more stylized design, such low detail could have worked, but the game attempts a veneer of realism that clashes with what it actually achieves. Couple that with the total lack of interactivity, and there is simply no content in the environment to drive the game. Ultimately, I suspect that Depth Hunter was conceived as a something like a tech demo for its game engine, and that no one really thought about how the game should function. Its disparate elements (spearfishing, photography, explorable underwater worlds) never cohere, and none is done well enough to be anything of note on its own. I applaud Biart for taking an uncommon premise to production, but that is about the only praise I have to offer. I wish a game would really run with the underwater exploration conceit; sadly, Depth Hunter does nothing but botch it. Technical note: I hate having to discuss mundane software issues, but it's worth noting that Depth Hunter validates your serial number on every start up. About a quarter of the time, however, it seems to fail, at least on my machine. I'm not sure if this is some sort of broken, local check or if it is trying to connect to the developer for validation, but it is annoying nonetheless. Restarting the game usually corrects the problem, at least until the next time it goes awry.